The Mediterranean Regulatory Authorities Network was created on a proposal of the French Conseil supérieur de l’audiovisuel and the Consell de l’Audiovisual de Catalunya in Barcelona on the 29th of November, 1997, in order to strengthen the historical and cultural links between Mediterranean countries, and to give the opportunity to the independent regulatory authorities from the Mediterranean area to exchange about the common challenges they have to face. It institutes a platform for discussion and consistent exchanges of information and research on topics related to audiovisual regulation. It works for the transparency and the mutual knowledge of its members notably thanks to exchanges over the best practices of regulation. It acts in favour of the freedom and the liability of communication in the Mediterranean Basin based on the fundamental principles for the regulation of audiovisual contents. The Networks counts 26 member authorities representing 23 states and territories from the Mediterranean Basin. The network is open to any independent regulatory authority in the Mediterranean willing to take part in its activities and exchanges. The MNRA performs its activities under the Charter of the network. The Plenary Assembly is the sovereign body of the network. Decisions shall be taken by consensus or, failing that, by a simple majority of the members present. The MNRA meets once a year in the Plenary Assembly. This meeting is organized in the country of the member institution which acts as incoming vice-president of the network. The transfer of powers from the Presidency to the incoming Vice-Presidency takes place at the beginning of the Plenary Assembly. The incumbent president is a vice-president for a one-year term. The Vice-President shall be elected at the end of each annual meeting. The Technical Commission is composed of the presidency, the two vice-presidencies, the Executive secretariat and the founding members of the network. It shall meet at least once a year between two plenary assemblies. The Executive secretariat of the network is provided jointly by CSA (France) and HACA (Morocco). In October 2008 at the 10th Plenary assembly in Reggio the final adoption of the Declaration on the regulation of audiovisual contents discussed first in Marrakech in 2007 is a major step for MNRA. It institutes a base of common and essential principles for audiovisual content that Mediterranean authorities engage in making program providers aware of, in the respect of national specificities. The Declaration is based on the respect of values, principles and fundamental rights shared by the members of the network, such as the respect for human dignity, the preservation of the rule of law, the protection of minors and their education for the respect of human rights, the accuracy of information and the respect for plurality of view and of expression. It provides mechanisms of international cooperation in the case of transfrontier audiovisual content to ensure an effective and concerted regulation. Following the Declaration adopted in Reggio and the debates of the 11th Plenary Assembly in Granada, the Mediterranean regulators adopted on the 2nd of October 2009 a Declaration of intention related to the protection of young publics and the fight against the violence in the media. A Memorandum of Understanding was signed on 20 April 2010 between MNRA and COPEAM during the 17th annual Conference of COPEAM, under the Andalusian Presidency. Its is the result of a common wish and a shared commitment of both organizations to promote a shared legal framework in the field of radio and audiovisual broadcasting, production and program protection, and, to encourage the development of a harmonised regulation framework on the basis of the Declaration on Audiovisual Content Regulation adopted by MNRA on 3 October 2008. At the 13th Plenary Assembly of the network in Malta the member authorities adopted on the 25th of November 2011 a common Declaration on Reality Shows based on the declaration of Reggio. It urges the regulatory authorities to watch over the fundamental rights of the human being and the protection of minors in reality show programs. The member authorities convened in Lisbon for the 14th Plenary Assembly adopted on 23rd of November 2012 a Declaration on the fight against gender sterotyping in the audiovisual media in acordance with article2.1 in respect of human dignity of the Reggio declaration. The Mediterranean regulatory authorities shall implement collaborative action to promote a non-stereotypical portrayal of women in the audiovisual media by developing co-regulation. At the 18th Plenary Assembly in Barcelona on 18 November 2016 the members adopted a declaration on the treatment of information on the crisis of Mediterranean refugees and migrants in the audiovisual media. Mediterranean regulators encourage audiovisual media to respect the fundamental principles of human dignity, privacy, individual or collective identity, accuracy, honesty and quality of information, and to ensure that they do not infringe to social cohesion by combating discrimination and racism. At the 19th Plenary Assembly of Marseilles in 2017, at the initiative of the French presidency, the members unanimously adopted on 17 November the Marseilles declaration “For an overhaul of the audiovisual regulation in the digital environment”. The member authorities commit to working for an audiovisual regulation adapted to the digital age and its democratic requirements, especially its objective of social cohesion. 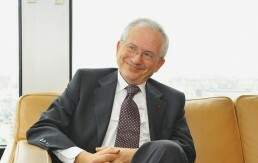 The Network’s Presidency is held by the President of one of the Member Authorities. The term of the mandate of the Presidency is one year. Roger Loppacher, president of the Consell de l'Audiovisual de Catalunyal (Catalonia, Spain), was nominated as MNRA President on 23 November 2018. The Vice-Presidency is entrusted to a member authority for one year. The Vice-President is appointed at the Plenary Assembly. During the 20th Plenary Assembly, November 22 and 23 2018, the Vice-presidency was entrusted to the HACA of Morocco. The outgoing Vice-Presidency is entrusted to the former president of MNRA for one year.